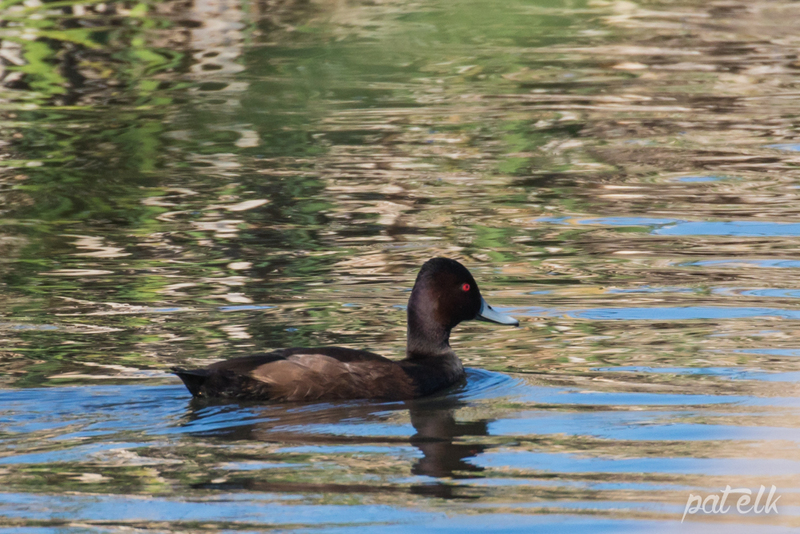 The Southern Pochard (Afrikaans name, Bruineend) is a fairly large duck with male and female looking quite different. We saw the at the Strandfontein Sewage Works. The male is dark brown with a red eye and a pale blue bill. The female has pale face patches. The female quacks and the male makes a whining sound.